Our regular business hours are: Monday - Friday 9:00 a.m. to 5:00 p.m. Your acknowledgment: By providing my credit card number as a guarantee, I agree to pay all rent and associated fees, accept all terms of this agreement and accept all liability for any damage not covered by the Damage Waiver Plan during the term of my lease with Agent. If I fail to do so I understand that these costs will be charged to my credit card and all credit card sales are final. Agent is not required to notify guest when charging credit card for damages or other charges as applicable under the terms of this agreement. All funds received are retained and non-refundable until unit is re-rented at same rate and time period less a $140 administrative fee. There are no refunds for poor snow conditions, severe weather, late arrivals, early departures, travel conditions, road closures, allergies, health or medical issues, utility or water outages, construction at neighboring properties, war, terrorism or acts of God. We strongly urge you to obtain the optional Vacation Rental Travel Insurance, which will protect your vacation investment if you must cancel for many unforeseen reasons such as doctor reported illness, poor traveling weather, injuries or accidents, or involuntary termination of employment. Additional benefits include medical assistance while on vacation, reimbursement for lost or delayed baggage, and identity theft resolution. Restrictions can apply, please see CSA Policy. 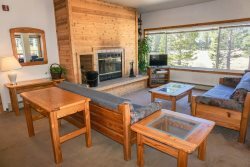 The City of South Lake Tahoe has been cracking down on vacation renters recently and therefore we must be extra careful when renting our homes. Please read the following set of rules and respond that you understand and will abide by all of them. They are heading in the direction of discontinuing vacation rentals all together. PLEASE HELP THE OWNERS KEEP THEIR PERMITS. 1. The maximum occupancy is the maximum occupancy, no exceptions! No overnight guests are allowed except for those included in the occupancy. 2. No parties or events allowed at this home, whatsoever. Keep the partying at the casinos! 3. Quiet time is from 10 pm to 8 am, meaning no loud music or noise inside or outside during this time. Even during the day, there is to be no excessive noise. 4. There are full time neighbors living right next door to this property so you are to remain respectful of them during your stay. 5. The maximum # of cars is the maximum # of cars, no exceptions! There is no "over-flow" or extra parking. If you have to carpool to take less cars, than please do so. 6. If there is a hot tub (not all homes have them), the jets are to be turned off and the heat is to be turned down after 10 pm. No one is allowed to be in the hot tub past 10 pm. No exceptions. 7. No smoking of ANY kind is allowed at this home. This is an owner preference and Tahoe is on high fire warning year round, even during the winter months. ***Failure to abide by any of these rules will result in eviction from the home and a fine up to $20,000 for loss of income for the owner. Meaning, if a neighbor complains, if the police get called or we drive by and see these rules are not being followed, you may be asked to leave immediately. Please respond with a simple OK that you have read and understand the above rules. Again, please don't hesitate to contact us if you have any questions. We are sorry to be so harsh, but the situation is escalating to unreal levels with the residents of South Lake Tahoe. Your paid reservation includes a charge for cleaning the home on your departure. All we ask is that you bag and dispose all trash in an appropriate receptacle, wash and put away the pots and pans, and start the dishwasher. Please strip or leave beds unmade if used. Our housekeeping crews will handle it from there. A minimum of $100 will be charged to your credit card for ANY additional cleaning requirements. Agent is not required to notify guest when charging credit card. This Damage Waiver plan covers unintentional damages to the rental unit interior that occur during your stay, provided they are disclosed (REPORTED) to management prior to check-out. The policy will pay a maximum benefit of $2,000.00. Any damages that exceed $2,000.00 OR NOT REPORTED will be charged to the credit card on file. Again, Agent is not required to notify guest when charging credit card. The Damage Waiver Plan can be purchased up to, and including at, check-in. Please contact Pyramid Peak Properties directly if you do not wish to participate in this plan or assignment. In such case, a $2,000 to $5,000 hold will be placed on your credit card until departure inspection is secure. It can take up to two weeks for the money to be released from your card as the processing companies are in control of this dynamic, not us. This does not cover pet damages. A 50% deposit is required to confirm your reservation. The balance of the rental is due 30 days prior to occupancy. We will automatically charge your same credit card for the remaining amount at that time. We gladly accept Visa, MasterCard and Discover credit cards. On receipt of your payment, we will send confirmation of your reservation to you by email. We will include directions to the property as well as check-in procedures upon final payment. Check in time is 4:00 p.m. and check out time is 11:00 a.m. prompt! Unless prearranged, there will be an automatic charge of $50 on your credit card for any deviation of check-in/out times, meaning early in or late out. We ask you to respect our prearranged check in/out times as our staff travels from far distances to complete their jobs. Most likely there are new guests coming and going the days you check in and out. Leave used linens and towels in small piles, or leave the beds unmade. Please place the key back in the lock box when leaving (if applicable). Load dishwasher and start the wash cycle. It’s much appreciated! Don’t leave trash outside. No exceptions. Take any overflow to the dumpsters. Turn thermostat down to 55. Don’t turn off. Please make sure all windows and doors are closed and locked. To open lockbox, press down “Clear” button on faceplate first, then enter code, then press down on “Open” button and faceplate will open and key is inside. Parking is limited to the acceptable number of cars listed on the property description and no more as the owner has to be compliant with the permitting requirements. There is no parking on the street for any reason. Please read the Rental Information Property Page located in your home for particular considerations specific to property. In general, no loud parties or activities are permitted on location. The premises are for the sole use as a personal vacation residence by not more than the listed maximum persons allowed. No alterations of property including but not limited to moving furniture, painting, adding or changing locks, placing signs, displays or exhibits, using screws, nails or adhesives. No drinking of alcoholic beverages by persons under the legal age of twenty-one (21) is allowed on rental properties. If Guests are arrested for underage drinking at rental properties or if agents observe guests under the legal age of twenty-one (21) drinking alcoholic beverages, agents reserve the right to terminate this Agreement and evict guests with no refund or rebate. Illegal drug use is strictly prohibited and prosecuted to the fullest extent of the law. The minimum age requirement for renting a property is 25 years of age. Under no circumstances is a property to be reserved without adults of age 25 or older present at all times. Pets are not allowed except for authorized properties. If an unauthorized pet is on the premises occupant is responsible for all damage caused by the pet and will forfeit entire damage waiver maximum payout at the occupant’s expense. Your credit card will be charged accordingly. Occupant, authorized guests, pet(s) may be required to immediately leave the premises and is in breach of this agreement. For Pet Friendly Properties: Your pet is welcome with the understanding there will be no animals on any furniture. We ask you to crate your animal while you are on the mountain and sleeping. We are not able to have a soiled bedding or carpet in any way as the next guest will often be coming in the same day you check out. No smoking is allowed on premises. If smoking does occur occupant is responsible for all damage caused by the smoking including, but not limited to stains, burns, odors and removal of debris and will forfeit entire damage waiver maximum payout at the occupant’s expense. Your credit card will be charged accordingly. Occupant, authorized guests may be required to immediately leave the premises and is in breach of this agreement. In consideration for snow removal operators, we appreciate your understanding and patience. Please remove your vehicle from the driveway to facilitate snow removal. If you leave cars unattended, the operator may not be able to remove snow from the driveway. If necessary, you will find a shovel in the garage. There is no parking on the street for any reason. Guests will pay a minimum $25 shipping fee for any items left behind and mailed back to them. If the charges are greater, the guest will be charged accordingly. Management is not responsible for lost items at the home or in transit. No trash is allowed to be left outside. If a food source (trash, coolers etc.) is left outside, bears will come. One bear incident will lead to recurring incidents. It is necessary to lock trash in the metal Bear Box or designated trash dumpsters to alleviate the abuse of our wildlife. Thank you in advance for your consideration. Rental properties are individually owned and agents cannot guarantee TV channel availability. Rental properties do not necessarily offer premium packages, i.e., Movie Channels, Sports Channels, Pay Per View, etc. Agents cannot under any circumstance activate premium channels. NO EXCEPTIONS! NO REFUNDS OR REBATES will be offered. In many cases, owners have videos or internet connections for your use in lieu of cable. For properties that have a hot tub read on. There is no guarantee hot tubs at property will be available for guest use. Guests may not add any objects or chemicals to hot tubs. Guests agree to pay not less than $100, if hot tub has been compromised in such a manner that results in cleaning services being delayed or excessive. Hot tubs have been cleaned prior to guest’s arrival. Guests understand that hot tub usage is at their own risk and will not hold Agent or Property Owner responsible for any injury. It is absolutely forbidden and extremely dangerous for children to be in the hot tub without a responsible adult. Guests must turn off hot tub jets and close the hot tub cover when not in use to avoid excessive water evaporation and damage to operating components. The hot tub breaker box switch must always be left on to allow continuous water circulation and filtration. Blankets, bed linens and a set of towels for each maximum allowed guest will be supplied. We do not provide beach towels. The kitchen is well equipped for meal preparation and serving. You can expect to find sufficient dishes, glasses, mugs, silverware and serving dishes. There will be enough soaps, toilet paper, paper towels and trash bags to get you started, but you may need to buy more depending on your usage and length of stay. Your rental property is owned by a private individual. The owner makes their home available for your use, hoping that you will enjoy the home as they do. The owner`s expenses of purchasing and maintaining the home are numerous and considerable; mortgage, property taxes insurance, utilities, association dues, repairs, management and more. Your rental payment does not cover these costs completely, it only partially offsets them. Nearly all owners are out-of-pocket to cover their total expense. We tell you this so that you may understand the importance of caring for the home as if it were your own. Please take adequate care to avoid needless damage to the home and its furnishings. In the event that any sewer drain stoppage occurs and such stoppage is the result of misuse by Occupant, guests, and/or invitees, all plumbing expenses associated with repair of said sewer drain and damage caused by said stoppage shall by the responsibility of the Occupant. Please be conscientious about energy usage and avoid running heat unnecessarily, leaving on lights or windows open. Your cooperation will help us keep our vacation rentals available and affordable. Within the City of South Lake Tahoe there are strict ordinances that must be abided or eviction and a fine up to $20,000 for loss of income may result. Again, this is to help our owners and have vacation rentals available for everyone. The owner will lose their permit if abused. Occupant`s or guests` personal property, including vehicles, are not insured by Owner and/or Agent or, if applicable, HOA, against loss or damage due to fire, smoke, theft, vandalism, rain, snow accumulation, avalanche, flood, hail, ice, lightening, mudslide, wind, falling trees, explosions, earthquakes, interruption of utility service, water, criminal or negligent acts of others, or any other cause. Owner does not insure against personal injury to occupant, guests or licensees due to any reason other than the condition of the premises. Occupant agrees to indemnify, defend and hold harmless owner and owner`s representative from all claims, disputes, litigation, judgments, costs and attorney fees resulting from loss, damage or injury to occupant, occupant`s guests or licensees or their personal property. Agents strive to comply with all reservation requests for specific vacation properties. However, due to ownership changes, properties being removed from rental use, mechanical problems, or other unforeseen circumstances outside of Agent`s control, Agents cannot absolutely guarantee a specific property. Agents reserve the right to change property unit assignment to a comparable property without liability should rental property become unavailable. A comparable property will have similar or better value, accommodations, function, unit amenities, or size as determined by the Agent. No refunds will be offered when comparable properties are available. Should Guest decline the comparable property, Guest may reschedule or change their reservation to another available date and property at the published rates but no refunds will be offered. If comparable properties are not available, Guests will have the option of selecting from any other available properties for their reservation dates and pay or receive a refund of the difference in the total cost or may choose to receive a full refund minus a $50 processing fee under the parameters of this agreement.